CloakVPN is an OpenVPN tunnel service that utilizes OpenSSL to encrypt both your data and control channels. It became reasonably popular as one of the rare services to accept Monero and other cryptocurrencies as a form of payment. It was launched by an individual that calls himself pwrcycle back in 2011 and you can learn more about him on his social media channels. Keep reading this honest CloakVPN review to find out more about this elusive VPN provider and learn whether or not the service is worth your time and money. CloakVPN is a rudimentary service in terms of design and overall aesthetics. In other words, the interface follows the example set by the official website. It features a monochrome, utilitarian design without any unnecessary additions or attempts at any form of visual appeal. The VPN is easy to use, but that’s understandable since there is just one server and almost no additional features – all you can basically do is turn it on and off. This may be a good choice for absolute beginners, but users interested in VPN solutions with extra or advanced features will be disappointed in this service. CloakVPN will only change your IPv4 address, so we recommend disabling IPv6 on your computer and LAN router for optimal security. We have read about sudden disconnects after an hour of operation, but we cannot say we experienced anything of the sort. Once you enable CloakVPN, it will tax your overall Internet speed to a degree, which is inevitable with pretty much any VPN on the market. As stated, we did not experience any sudden disconnects while testing the software. CloakVPN will also protect you against DNS leaks, but only if you use DHCP to push CloakVPN’s DNS server to the client machines. If you set a DNS server to your local router or network manually, there is a possibility of your DNS requests leaking through your local connection. For a modest one-man VPN service, CloakVPN definitely provides its users with decent platform coverage. It currently works on Windows, Linux, macOS, Android, and iOS. The official website offers download links for all of the aforementioned platforms. When you connect to CloakVPN, you will be assigned an IP address in Kansas City, USA. Apart from this, there is nothing on the official website that would give us more information about the service itself. We think it is safe to say that the VPN does not provide unlimited bandwidth and speed, but we cannot say for sure. We also do not know whether the founder allows P2P filesharing or not. The website does indicate that there is also a proxy service, but we do not know much about it. Bottom line, CloakVPN’s website is there just to provide some basic information while skipping on numerous things we would like to know. The official website remains pretty stingy when it comes to information regarding privacy and security. It is indicated that the service uses OpenVPN, which is good news since it is the safest connection protocol currently on the market. With that in mind, we presume that the cipher of choice is AES-256, although that is not specifically mentioned on the site. We already mentioned the DNS conundrum, so you have to be careful if you do not want your DNS request to leak out. The software does not seem to feature a dedicated automatic killswitch. Since CloakVPN is basically the work of one man, there is not much in terms of dedicated customer support. We guess you can contact pwrcycle on Reddit, Facebook or Twitter if you are experiencing any type of problem, but that is pretty much it. We are, unfortunately, unsure if you will get an answer to your questions. As we already mentioned in this CloakVPN review, the accepted payment methods include Monero, Bitcoin, Ethereum, Litecoin, Zcash, Dogecoin, Ripple, DigiByte, and Golem, as well as standard options like Visa, MasterCard, Discover, and American Express. As we wrap up this CloakVPN review, here’s a quick overview of the features that wowed us and the aspects of the service that could use some improvement. Our ratings are the result of an objective and independent evaluation of CloakVPN , generating the final rating that reflects the overall quality of the company. Ratings may change as the service changes. CloakVPN user rating based on 2 user reviews. 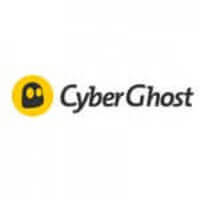 We found 0 verified CloakVPN discounts for April, 2019. Discover the full range of possibilities CloakVPN offers and become an advanced user in no time with our beginner-friendly CloakVPN guides. Whether you are interested in secure torrenting, unblocking Netflix, setting up CloakVPN on all your devices or you simply want to learn more about CloakVPN , you can find verified information and clear instructions in our CloakVPN guides below.